Jared Unzipped: A Special Christmas Message To My Readers. As this long winter evening falls to darkness and children all around the world await the arrival of a certain jolly elf in a red suit, I deliver this simple message to you. Christmas is not about the gifts under the tree. It's not about the bountiful feasts. Nor is it about flashy new gadgets or expensive vacations. Sure, all of these luxuries are great to have, but none of them imbue the true essence of the holiday season. More so than anything else, being with the ones we love is the single greatest thing we can share as human beings during the holidays. Rich or poor, it doesn't matter. Love will always be free. Love is at times hard to find, but it's always easy to give away. 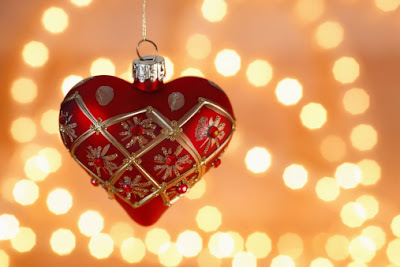 The best thing you can do this Christmas is give your love to someone in your life. Your spouse, your brother, your mother, your neighbor, your friend. Give to someone, whomever they are, the love within your heart. Forget the worries of life for just a single moment and share in the joy. Share it with anyone you can, in whatever manner you can. We, the human race, are one big family. As such, we owe it to ourselves to treat each other like a family. Of course, families fight and argue at times, but at the end of all the grief and discourse, they love each other. So, let's do that. Let's love each other. Begin today, right now, this very Christmas Eve. Maybe we can do it again tomorrow. And then, the day after that. And so on... loving each other day after day. I wholeheartedly believe that global peace is attainable within our time, if only we are brave enough to share the gift of love with each other.